Management of duplicate records may be as important as either winning or losing a deal. Often a single lead or contact has multiple employees working with it, and so it’s important that all the information related to the client is located in a single record. Even if there is only 1 sales agent, it is impossible to remember all the clients that have ever been registered. Repeated correspondence and confusion in communication can result in wasting time and energy. When a new object is created (lead, contact or company), the system will indicate whether a similar record has already been added, along with information concerning the data fields which match (first or last name / company name, email & telephone number). If a sales agent enters data that matches an object to which he or she does not have access, the system will still show some basic information from the object and provide a link to the manager responsible for the existing object, so that a discussion about work with the given client can be initiated. If you are sure that the match(es) is not a duplicate, then you can ignore the suggestion and save the object. 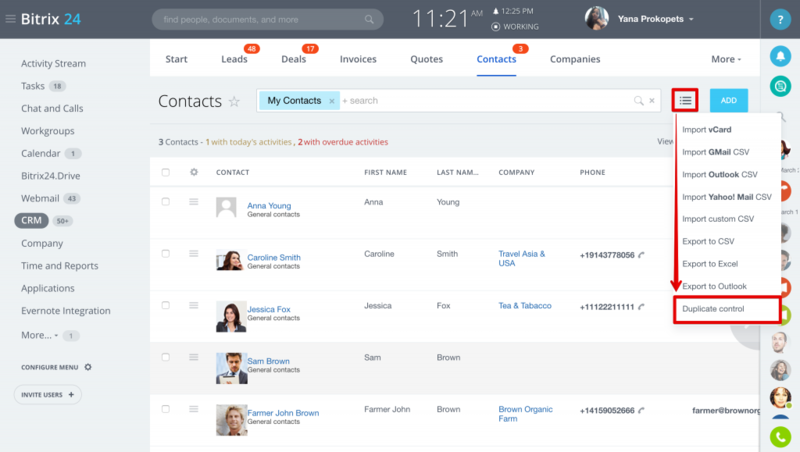 Open settings menu right above your leads, contacts or companies list and choose Duplicate Control. There are three boxes – Full name/Company name, email and telephone that you can search for duplicates, either individually or all of them simultaneously. After the search is performed, the system will show you the list of duplicated records which you can either skip (mark as non-duplicates) or merge (read below). 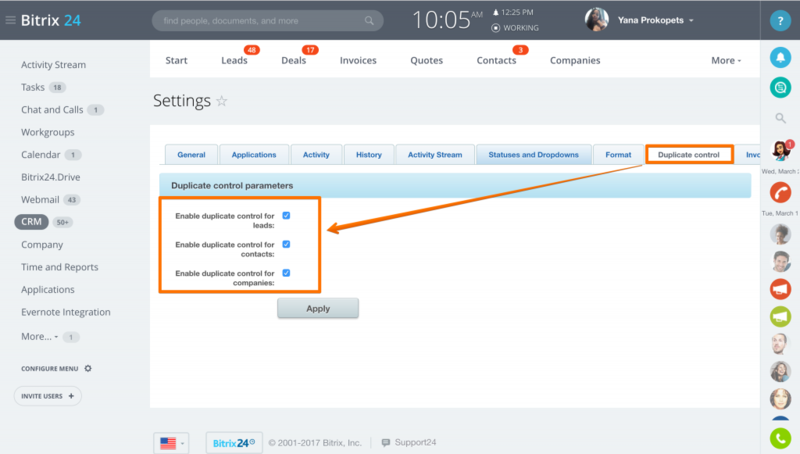 Important: when you add new contacts - duplicates control is available for all Bitrix24 plans subscribers. But, Advanced Duplicate Control (among all contacts after they are already in the system) is available to Bitrix24 commercial plans subscribers only. 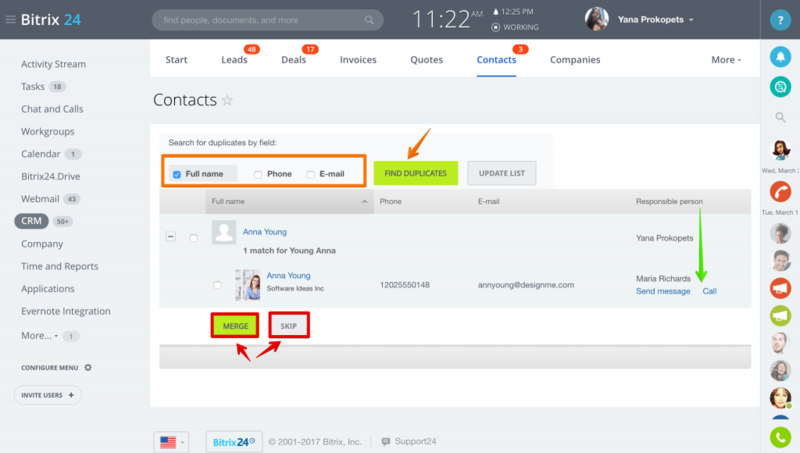 When merging duplicate entities, Bitrix24 CRM first determines which lead, contact or company will be considered as primary entity and which ones - secondary & thus deleted after the merger is complete. Citation index. Citation index is calculated based on how often CRM manager has worked with this record & how many connections it has with deals, activities, quotes & invoices. The more record is connected & worked with, the higher it's citation index is. Merge: data from secondary duplicated record will be transferred to the main primary record. Skip: use this action to mark records as non-duplicates. In this case these records won't be shown as duplicates anymore. Important: You can not reverse or undo duplicate entry merger, so this operation should be performed only by a person who understands the process and what information and access rights will be lost/altered as the result of the merger. if both main & secondary duplicate records have same fields filled (and the filed is not multiple), then data won't be merged. Only main record filed's value will stay. That's why it is important to determine which record is primary (main) & which one is secondary. 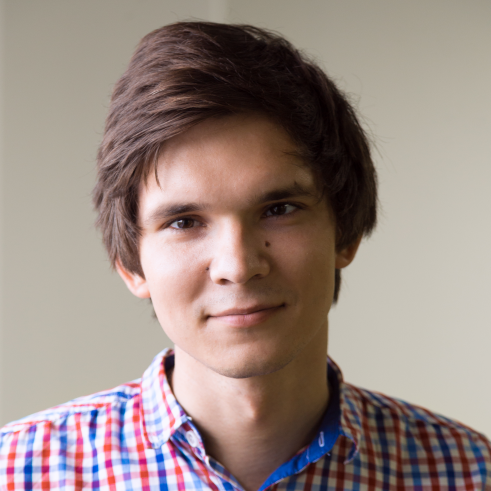 connected deals, companies, invoices or activities will be reconnected to the main primary record. stream messages about new invoice or activity creation won't be transferred from duplicate to the main record. access permissions will stay for the main record since all duplicates will be automatically deleted. Bitrix24 CRM comes with flexible access rights. This usually means that multiple managers work with CRM, each having access only to his or hear leads, contacts or clients. Important: each sales manager can perform duplicate search only for own records & those he\she has access to. Duplicate control won't be available if you don't have access permissions to delete records. CRM administrator, however, will be able to merge duplicates regardless of the fact that such records have been assigned to different managers. If needed, you can deactivate the duplicate detection system under CRM>Settings>Other settings –Duplicate control tab.